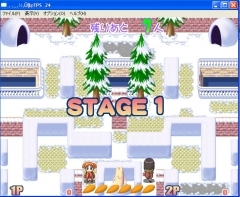 As the title suggests this is a snowball fighing game. Chiyo and Osaka are competing who can snowball the rest of the gang the fastest. Japanese RAW, so not English translated!! !